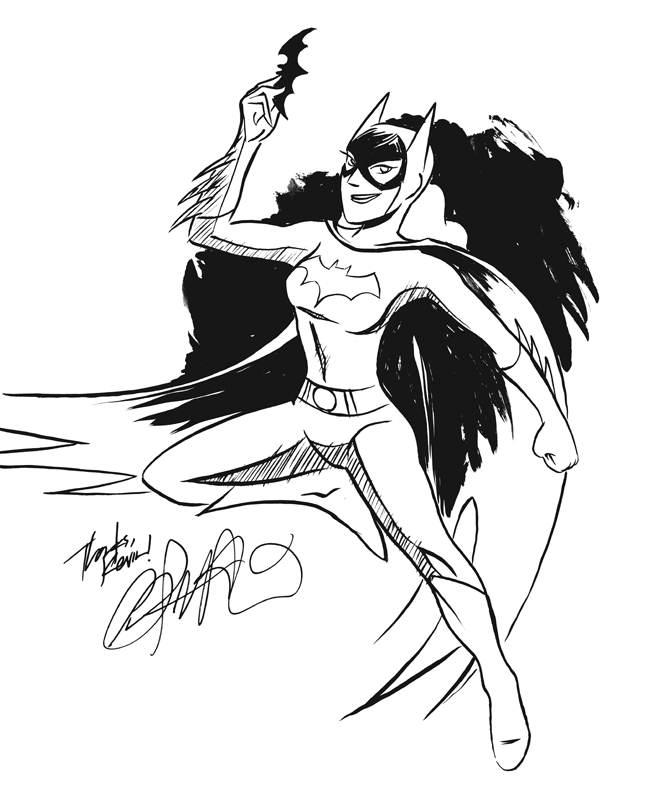 Multiplex: Deleted Scenes — I drew Batgirl. Kevin Chiou commissioned this sketch of the one, true Batgirl (Barbara Gordon) via the Multiplex Store, and I’m really happy with how it turned out, so (with his kind permission) I thought I’d share it with you! Nitpickers will note that I am using the Batman: The Animated Series version of the costume (and I probably didn’t even that that right). This entry was posted on Thursday, June 2nd, 2011 at 09:00am	and is filed under Drawings. It’s pretty darn close, Gordon.Â I mean, you got the belt right, and a lot of people miss that. And totally anticipated DC’s return of Barbara Gordon Batgirl by a few weeks! Or at least, whoever commissioned you did.